Commendation presented to Australian Sogetsu Teachers Association Inc, New South Wales Branch. 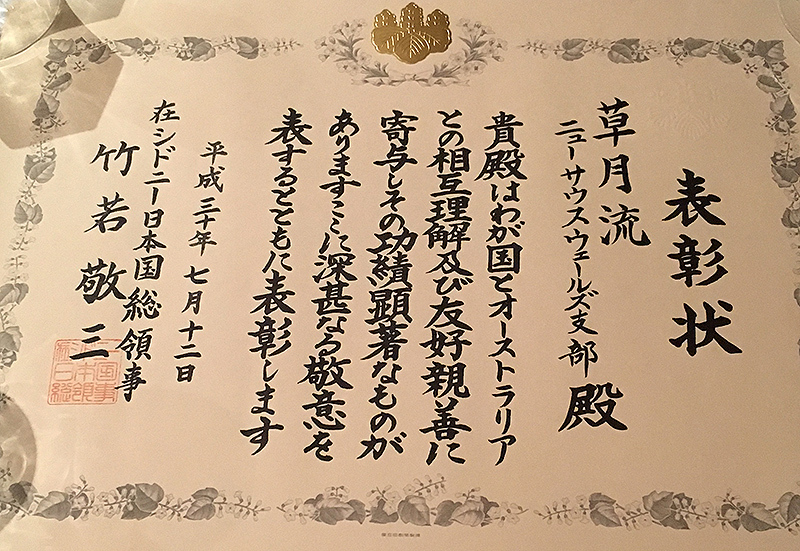 Thursday 12th July the Consul-General of Japan, Sydney, Mr Takewaka presented the award to Mrs Margaret Hall, NSW Director who received it on behalf of the NSW Branch. The evening was shared with Mrs Tae Gessner head of the Kimono Club Sydney.